As you may know I am off to Berlin this week for four months to teach yoga and to take part in Jivamukti and Astanga intensive training and mentoring programmes. We are really fortunate to have two world class teachers to cover the Yoga on Rochford classes in my absense. My approach to yoga is to remain in the moment and accept how I feel physically and mentally. That might mean practicing an asana to alleviate a physical ailment, or focusing on postures that will help me deal better with a stressful situation. It’s important to practice without expectations or judgment. I try to honor the way I’m feeling and be open to that state changing. I practice yoga because it makes me feel good and helps me connect to my spirit – it helps me to be the best me I can be! While studying a Bachelor of Dance at Queensland University of Technology, Cath used yoga as a pre-performance warm-up – she was excited to have found a practical discipline that gave her a sense of peace. Cath completed her teacher training at Samadhi Yoga and travelled to India where she studied Tibetan Buddhism. On her return, she completed her YogaSynergy Teacher Training and YogaSynergy Anatomy & Physiology Course. She has attended workshops by Clive Sheridan, Donna Farhi, Glen Ceresoli and Simon Low. 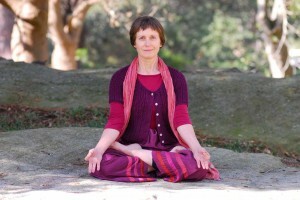 Penny has been practicing yoga and meditation for over 35 years. She became interested in yoga and started practising from B.K.S. Iyengar’s Light on Yoga. She traveled to India in her early 20s where she practised meditation and yoga at the Sivananda ashram. 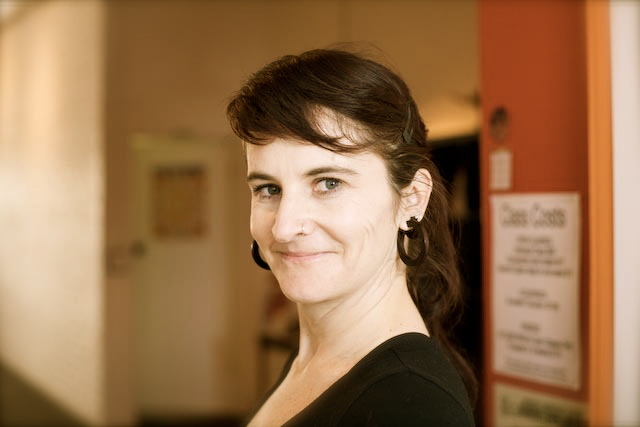 On her return to Australia, Penny trained as a visual artist and set up and ran a successful artist’s co-operative. She continued practising yoga with well-known Sydney yoga teacher Acharya Upendra Roy and then with Yoga Synergy. Penny teaches a vinyasa style of hatha yoga with emphasis on safety, correct alignment, breath awareness and relaxation. The practice can always be modified according to the experience and needs of individual students. Penny teaches meditation at Yoga Synergy, special needs yoga at Samadhi, and several corporate classes. 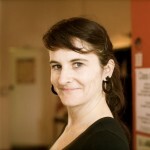 She has taught prenatal and mums and bubs yoga at Life & Balance and Samadhi. She also enjoys gardening and is an avid violinist. Penny has completed Yoga Synergy’s Applied Anatomy & Physiology Course in 2004 and 2007 and has attended workshops with Clive Sheridan. Interested in Yoga but not sure where to start? Want a stronger foundation to your existing practice? …or perhaps you would just like to discover a great way to improve your strength and flexibility, whilst lowering stress and improving sleep. All students who complete the course will receive a handy “Home Practice Guide” covering a 30-minute practice, with descriptions of all key poses. Bookings and advanced payment for this course is essential. Come along to Yoga on Rochford on Monday 4th October and receive the special cash price of $70. For more information call Chris on 0424 459 696. As part of my continuing yoga training I will be heading off to New York to do the intensive Jivamukti teacher training this week! I will be back in Sydney at the end of May. Rebecca has been practicing yoga since 1997 and has a genuine love and desire to share the benefits with all. She understands that every body and every day is unique and believes yoga is about contentment, non-violence and truth – to ourselves and others. Itʼs about engaging with the spirit within you and goes well beyond what we do on the mat. She believes anyone can do yoga and teaches with understanding and compassion, instilling respect for your body and calming the mind. Her classes are designed to invigorate and challenge, allowing you to discover your own potential, through a dynamic Hatha style. Join us every Monday from 7:30-8:30pm for Yoga on Rochford. This is a Vinyasa Hatha class that is open to everyone. With a monthly physical focus ensure you build up your understanding of a complete range of yoga asana, whilst the monthly yogic focus ensures that you work mindfully through their practice, enhancing the relaxing aspect of the class. I have a new website for you to check out yoga classes, courses, events and news on my film production.